As then-president of Habitat for Humanity International, Rev. 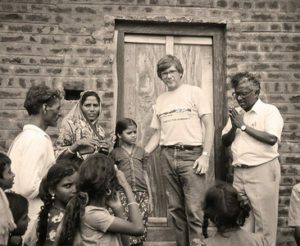 David Rowe traveled to India in 1983 to seek a place to start the first Habitat project in Asia. 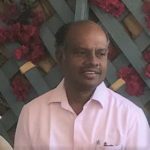 His journey led him eventually to the city of Khammam, where he was introduced to a much-admired local leader, K. Azariah, known for his compassionate work among the poor. Habitat for Humanity ultimately started its work in India under Azariah’s leadership, and today stands as one of the most successful housing efforts in this part of the world, having built over 1,400 houses in the Khammam District. 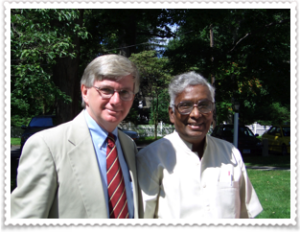 Moved by Azariah’s service to the poor, Rev. Rowe felt called by God to support Azariah’s work, and thus FOCI was formed — to be a U.S.-based partner for Azariah’s organization, CSU (Christian Service Unit). CSU, led by the example of Christ’s love for all, offers its care to all those in need, regardless of religious distinctions. 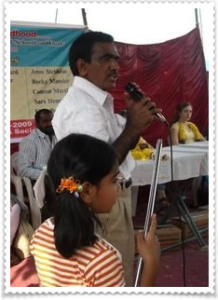 In 2005, FOCI and CSU added an additional partnership in the city of Hyderabad, teaming with TL Reddy, a social worker with a passion for caring for children and supporting the development of girls and women. Our Hyderabad programs include community centers which provide job skills and support to impoverished women, support to two government schools (with a special emphasis on encouraging girl students), and the Lotus center — which provides afterschool care and homework support, as well as a nutritious meal, to slum children. Through CSU’s work in Khammam, FOCI’s care reaches into the heart of rural poverty … through CSU’s Hyderabad projects, FOCI is making a difference in an urban setting. From rice fields to diesel-choked highways, those in need are being cared for through this extraordinary partnership, extending from one side of the world to the other.